Exercises are an essential component to the recovery process of patients with musculoskeletal conditions. If you want your life back, you will have to do the right kind of exercises with your physiotherapist. Our bodies require strength, mobility and coordination to move both painlessly and freely. However, when an injury occurs, certain parts of the body become stiff, weak, and swollen causing both pain and a loss of normal function. You may have experienced this while injuring yourself playing an activity, only to wake up in pain the next morning. You can’t get out of bed because it hurts too much. Exercise rehabilitation is necessary to restore normal muscle function and control of your body. When performed correctly and safely under the guidance of your physiotherapist or kinesiologist, exercise has the potential to relieve pain. Why Choose Body Restoration For Exercise Rehabilitation? Say goodbye to your pain and aches! We will assess your movement patterns, biomechanics, and functional needs before we design an individualized exercise rehabilitation program to suit your lifestyle. Together, you and our exercise programs St Albert team will decide the rehabilitation exercise that is best for you. We encourage you to take control of your lives by providing you exercise therapy that will help you manage pain relief and achieve the energy to withstand life’s daily challenges. What Conditions Benefit From Physiotherapy Exercises? If you want to maximize recovery from an injury, contact us to learn more about customized rehabilitation exercise programs. Proudly providing physiotherapy exercises St Albert and Edmonton areas. We’ve helped over 12,420 patients since 1992. Let us do the same for you. Get pain relief and start feeling better today! 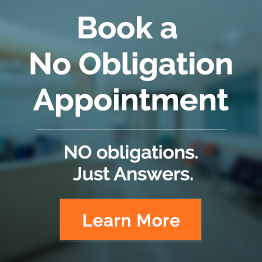 Schedule your no obligation appointment.